Born the last of six children, Aadin has always looked for a way to be seen and heard, and what better way than to become a singer/actor. 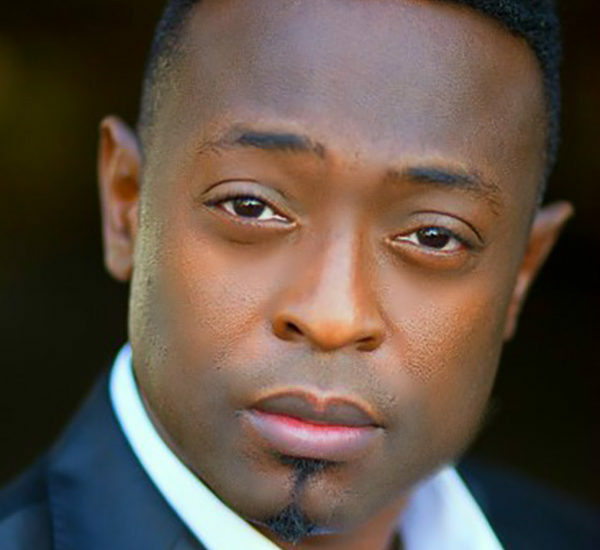 It has taken him, at times, halfway across the world, performing with some of the world’s best such as Patti Labelle, Mariah Carey and Deborah Cox, and appearing in hit Broadway productions such as Disney’s The Little Mermaid, The Lion King, Miss Saigon, Dreamgirls, The Buddy Holly Story and most recently Ragtime and Guys and Dolls at the Shaw Festival, to name just a few. Not content with just being on the stage, Aadin has stepped behind the scenes, writing, directing, producing, and working on award-winning productions, like Ruined with Obsidian Theatre Company and Caroline or Change, an Acting Up Stage/Obsidian co-production. The future is bright for this singer/actor/writer/director/producer, as he continues to achieve excellence in everything and anything that he decides to do.